Two of Aidan O’Brien’s last three Epsom Oaks winners were among the least fancied of his multiple runners in the year they won and I Can Fly could be another big-priced winner for Ballydoyle in 2018. His most recent winner Minding was sent off favourite for the 2016 edition, but before that Qualify was least fancied of the O’Brien trio when winning at 50/1 in 2015, while Was went off 20/1 in 2012, when her stablemate Maybe was 100/30 second-fav. The master of Ballydoyle fields six in this year’s Oaks and the claims of his Magic Wand (9/2), Forever Together (6/1) and Bye Bye Baby (13/2) haven’t been missed by the odds compilers. However, at 12/1, I Can Fly could be the proverbial insect in this year’s ointment for those interested in horses at the head of the market for the fillies’ Classic. Beaten more than 14 lengths in the English 1000 Guineas in her most recent running, it should not be forgotten that she was sent off 7/1 co-third favourite. But for a drift on the day of the race, she would have been a clear third favourite and had been backed in from 50/1 in the months preceding the Newmarket race. At The Races pundit Kevin Blake revealed on a pre-season edition of the Final Furlong Podcast that there had been a twinkle in O’Brien’s eye when he spoke of the filly. Her pre-Guineas odds shrinkage seemed to suggest Blake had been correct in his deductions. 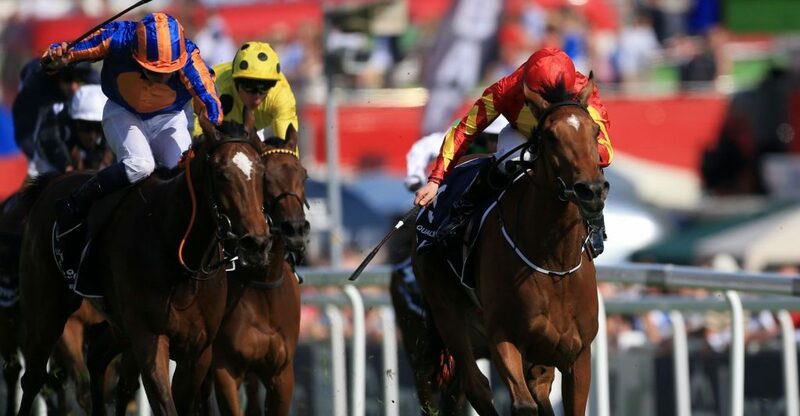 Seemingly well thought of by her world class handler, I Can Fly can be forgiven one bad race in the Guineas, especially as previous Oaks winners have finished down the field in the race. Qualify, Casual Look and Reams Of Verse all finished sixth or worse at HQ before snatching victory at Epsom. There’s also reason to believe those flagging her as a potentially suspect stayer are wide of the mark. By Fastnet Rock out of a Montjeu mare, she has 1m4f Classic-winning stamina on her mother’s side. True her sire was a Group 1 winner over 5f, but he also begat another shock-Oaks-winner under the care of Aidan O’Brien in Qualify.